Snowden is a Public Boat Landing about 7 miles downstream on the James River from Natural Bridge Station. This trip is often referred to as Balcony Falls. 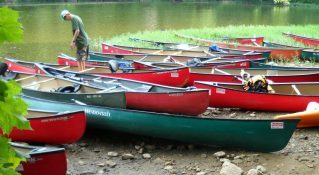 This trip is offered by Wilderness Canoe Company (WCC). 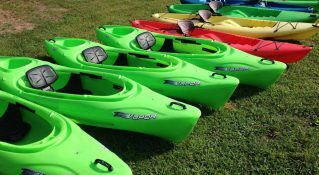 Your sit-on-top kayak and gear will be taken to the waters edge and launched at your own pace. 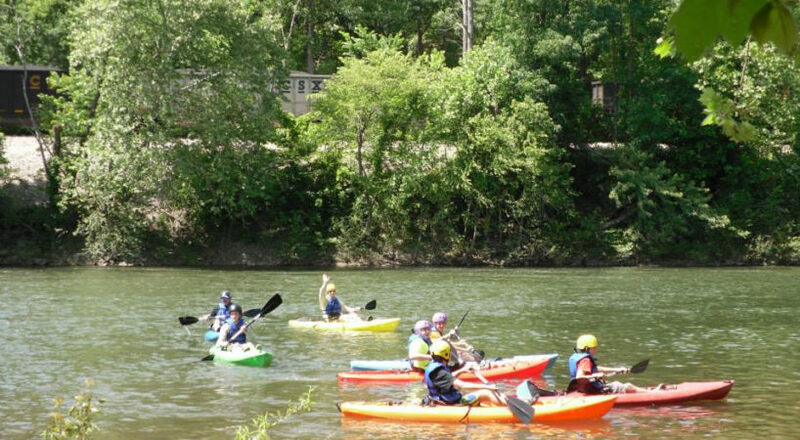 You will encounter two class II rapids before reaching the confluence of the James and Maury Rivers at Glasgow. This trip contains the only class III rapid on the upper James River. 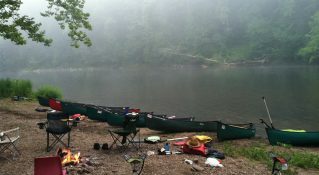 It is the most remote and scenic trip available in Virginia and is paddled by whitewater enthusiast from all over the country. Due to the remoteness and difficulty of navigating through the ledges and rapids, this trip is best for experienced paddlers. Stunning Blue Ridge Mountains views, fast class I and II rapids, pebble beaches, strange white boulders, pristine forests and the American Bald Eagles are just a few of the great things you will experience along the way. This trip takes 3-4 hours to complete. Click here to view Wilderness Canoe Company's river map.